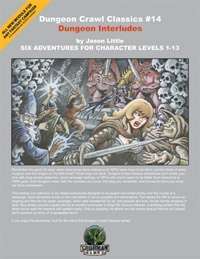 This module is a collection of six related adventures designed to be played nonconsecutively over the course of a campaign. Each adventure builds on the one before it, but is complete and stand-alone. This allows the DM to weave an ongoing plot line into his larger campaign, which gets revealed bit by bit, one episode at a time. As the heroes progress in level, they slowly uncover a great plot by an ancient summoner to forge the Oculum Infernae, a terrifying artifact that will allow him to read the heavens with perfect clarity. Only by stopping his efforts can the heroes ensure that the evil wizard won't summon an army of unspeakable terror! This title was added to our catalog on March 11, 2005.